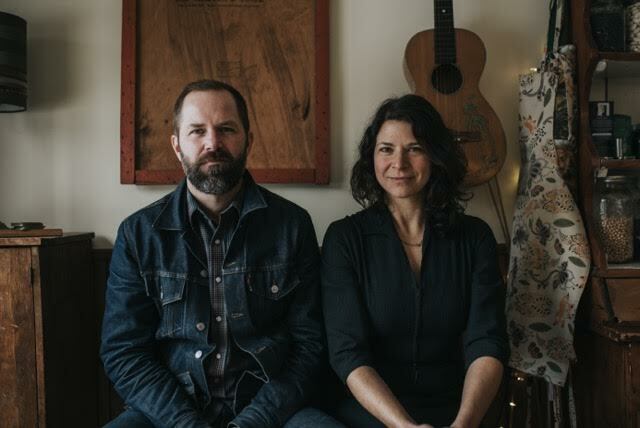 In the fall of 2017 Kris Delmhorst and Jeffrey Foucault will tour the USA on a special split-bill, sharing the stage to celebrate the release of THE WILD, Kris Delmhorst’s October 2017 album featuring Foucault and members of his band. Though married since 2004, these two acclaimed artists have until now maintained independent touring careers, and THE WILD marks their first foray into the studio together, to record Delmhorst’s darkly hopeful, fiercely wise new collection of songs. Merging her sophisticated melodies and hauntingly open voice with Foucault’s lean aesthetic, the album navigates the poles of home and away, known and unknown, and reunites her with old bandmates including Billy Conway - the former Morphine drummer who produced her first two albums - and bassist Jeremy Moses Curtis (Booker T). Featuring two distinct sets of music every night, with the two artists fronting the band in succession, and joining each others sets, the tour offers a rare and intimate performance from two of the country’s foremost songwriters.